The Daily Mail reports Sunday that the horrible accident on The Smiler at Alton Towers earlier this summer wasn’t an error on the manufacturers part, but on two employees at the park. The report goes on to say that the accident was caused employees failing to follow safety procedures was the reason that the accident occurred. According to the article, the accident which occurred in June, was completely preventable. Unlike many had thought, it was not a failure of censors, but a manual override of a safety measure. The crash left four people severely injured, including two women who lost their legs. The Mail learned that the riders were asked to wait once they reached the front of the line. A cart was sent empty after a problem had occurred. A short time later, riders were loaded on the next car and sent on the ride. The previous cart had never returned to the station, and was sitting on the track. The safety sensors, which were doing what they were supposed to do, held the car with the passengers at the top of the track for about ten minutes. It was after that point that a ride operator restarted the system, and an engineer performed a manual override. Allegedly the two employees are still working at the park, and are pending a criminal investigation. After the incident, Alton Towers went under severe public scrutiny, with every single little incident reported to the media, and treated like a tragedy. It’s a typical media response. While the accident was extremely unfortunate, and preventable, it was an accident. The park will be held accountable for their part, and it sounds as if the employees responsible could be held legally accountable as well. Either way you look at it, it was more lives than just the four people involved in the accident that were affected. If there is any bright side to this, it’s that a situation like this brings to light areas where employers need to spend more time training their operators. It’s not just at Alton Towers either, parks across the globe took precautions with similar rides to make sure there were no issues. While the fate of the Smiler (which has had a laundry list of issues) is not known at this time, other rides in the park are being double and triple checked to ensure that not only are the attractions safe, but that everyone also knows their job inside and out. That is definitely a good thing, ensuring that something as unfortunate as this never happens again. Stay tuned for more from Alton Towers and be sure to get social with us on Facebook, and follow along with us on Twitter @BehindThrills for the latest updates! 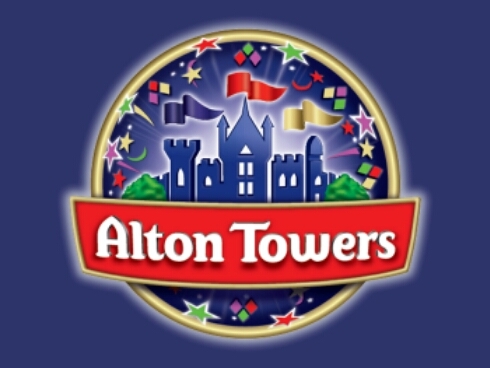 For more information about Alton Towers, including tickets, visit the official website by clicking here! Previous PostRumor Mill: Big Thunder Ranch at Disneyland to Close January 11, 2016 to Make Way for Star Wars Land Next PostMysterious package gives clues about Knott's Scary Farm!